Streatham restaurants, breakfasts, lunches, pubs, bars, cafés and more. Streatham’s faded 19th century glory as a red brick suburb for wealthy Victorians has seen a rebirth in recent years as the area has become an increasingly attractive alternative to surrounding Clapham, Brixton and Dulwich. The high road claims to be the longest in the UK and at nearly 3km long there are plenty of opportunities for savvy entrepreneurs to open up new places to eat and drink. As house prices rise in this leafy end of south west London so has the quality of what’s on offer. Avoid the chains and try out the many independent cafés, pubs, restaurants and boozers. Characterised by a sense of pride in their community many places are family run, with an emphasis on locally sourced ingredients, popular specialities and a relaxed, warmly welcoming atmosphere. 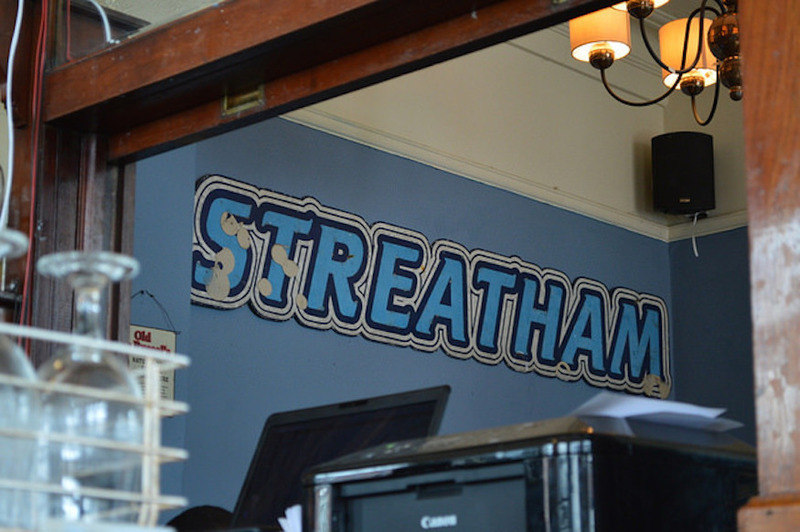 Note: we’re defining Streatham as the area surrounding Streatham High Road stretching from the top of Brixton Hill to past Streatham Common, including Streatham Hill and Streatham Vale. Perfect Blend is a popular Saturday morning location for a hungover fry-up while Café Barcelona does a Spanish breakfast with chorizo omelette, ciabatta toast and crispy bacon. They also have homemade custard tarts dusted with cinnamon. Baked fresh every day from a Portuguese recipe, turn up a little after 10.30am to catch them hot from the oven. Overlooking Streatham Common is The Mere Scribbler. Technically a pub, its brunch menu earns it a spot on this list with extensive offerings ranging from full English breakfasts to smoked haddock, cheese tarts to good old granola. Decent veggie options and Bloody Marys are also welcome. The only catch is you have to wait until 11am on weekdays or 10am on weekends to get your fill. Another place worth checking out is the independent Batch & Co Coffee, serving up serious Caravan-roasted and single origin coffee, alongside fresh pastries and cakes daily. Whole Meal Café offers cheap but satisfying vegan grub near to Streatham Library; their homity pie and salad bar are particularly good. 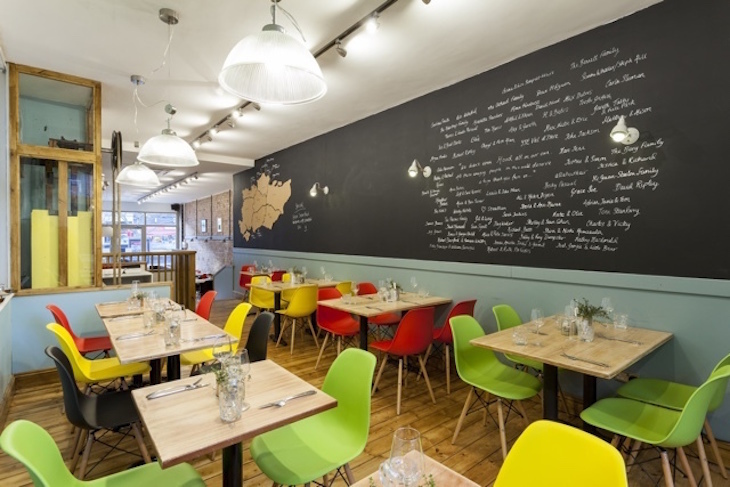 Or try Boyce Da Roca on Streatham Hill for everything from hearty — but reasonably healthy — breakfasts through to light lunches and luxurious cakes. The avocado smash is worth a go. If it’s a nice day grab a picnic on Streatham Common — get a sourdough loaf from Elephant Bakehouse and sandwich ingredients at Polish delicatessen Bartek Express choosing from their wide selection of cured meats and cheeses. But if rain threatens, The Rookery Cafe on Streatham Common will see you right with comforting toasties, baps and soup available daily. Also perfect for a quick cake and a cuppa on your way to the lovely Rookery gardens right next door. As Streatham is still less well-trodden than nearby Brixton, restaurants tend to be slightly cheaper and easier to get into. There is no compromise on quality however, with many small businesses offering something unique across a huge range of cuisines. Streatham Hill Italian Addommè is a top spot with their superior sourdough pizzas matched only by the unfailingly warm welcome you receive from this family-run joint. Bravi Ragazzi boasts a stone wood-burning oven to cook their traditional Neapolitan sourdough pizzas with unusual toppings such as salsiccia e friarielli (smoked cheese, wild broccoli and Italian sausage). Tapas Bar 61 is a bit dusty around the edges but worth going to for the generous portions. Highlights from the sharing menu include patatas bravas, pollo al ajillo (seared chicken) and ratatouille. We could have done without the slightly dry complimentary fruit for dessert but it comes with a glass of hazelnut liqueur Avellana which is the perfect way to wash down this spicy meal. Perfect Blend historically does one of the area's best burgers, but is now being rivalled by newcomers Bunk Burger and Daddy Buns — the latter of which is owned by the same guys as behind the ever-popular Bravi Ragazzi, so expect an Italian twist. Tiger Cafe on Streatham High Road is your must-go for authentic, inexpensive, flavoursome Vietnamese cuisine. Since Mrs Wong's was taken over by new management, Rice Republic now tops our list for Chinese food in the area. Their dim sum is absolutely joyous and perfect for sharing. For fish and chips there are just two options — Kennedy’s on the corner of Leigham Court Road where slightly overpriced dishes are redeemed with particularly good mushy peas, and Morisco Paella and Fish Takeaway where the grilled fish is perfectly cooked, expertly seasoned and generously portioned. Both are takeaways so get your napkins ready at home. Bright and British: Hood. Photo by Chris Snook. The perfect romantic date location is Hood, just three years old but easily one of the most popular spots in Streatham. 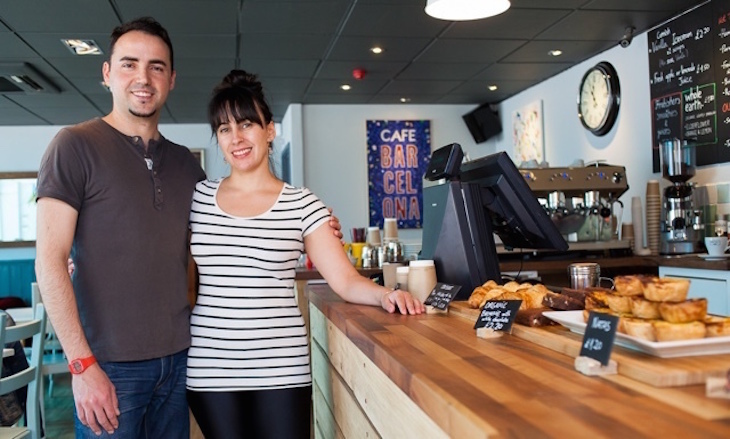 Run by siblings Robin and Melanie Frean it serves modern British food that can’t be found anywhere else in Streatham. The dinner menu is small and well-priced. We liked the melt-in-the-mouth beef brisket served with crunchy veg and tangy creamed horseradish on our last visit, but the menu is often changing. We salute their dedication to using locally sourced ingredients wherever possible. 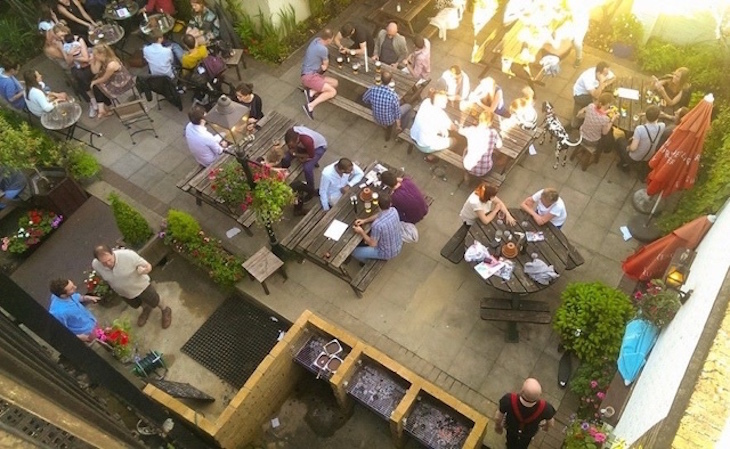 There is no shortage of boozers in Streatham, but avoid the Wetherspoons in favour of Pratts and Payne which has the edge with a central location and secluded beer garden. Another superior beer garden can be found at The Bull where deck chairs, an outdoor bar and dedicated Burger Shack make this a buzzy and bustling hideout during the sunnier months. For a friendly local, don't miss The Leigham Well tucked away behind Streatham High Road. New managers have recently revamped this old boozer with a love and care that is clear to see. Welcoming crowd, live music nights and a great selection of drinks make it a favourite. The Manor Arms is worth a trip for a quieter meal of a summer evening, while The Railway next to Streatham Common station and The Earl Ferrers behind Streatham station are both good choices for a Sunday roast. Perfect Blend is far from a traditional pub but it does offer exclusive St Reatham beers. Visit our good-pub database to see more recommendations in the area. Perfect Blend stays open as a bar during the evening and The Mere Scribbler has a dedicated sports bar area during big games, but the real star of Streatham’s night life is jazz club Hideaway, just two minutes from Streatham station. Entry ranges from £10-£15 which may initially be off putting but do give it a go. 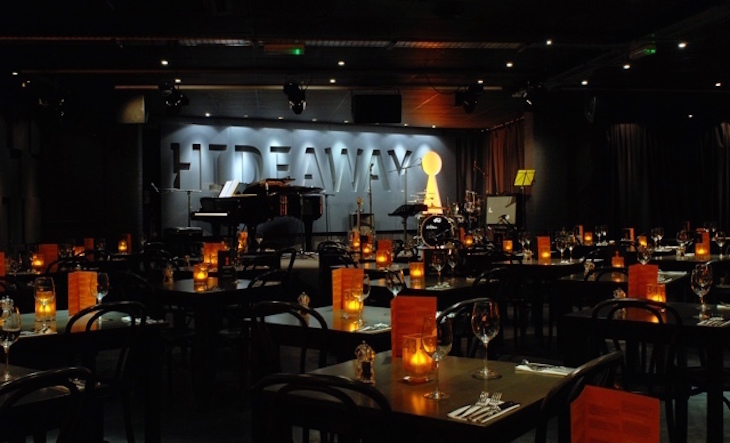 The cabaret-style set-up, buzzing, comfortably busy atmosphere and expertly picked wine list make it a south London alternative to Ronnie Scott's, minus having to fight the Soho crowds to get in. You can eat as you listen, but will be shushed by staff if you talk too much. For cocktails, Exhibit B (formerly Brighton Way) and The Hamlet, pretty much opposite each other on Streatham High Road, both offer a decent selection of traditional tipples (think martinis, rum punches and caipiroskas) with prices around the £8-£10 mark. Streatham’s plethora of late-night chicken and kebab shops are best avoided, but if a takeaway is in order then head to the Royal China next to St Leonard’s Church bus stop. But be warned — don’t ask for extra chilli.